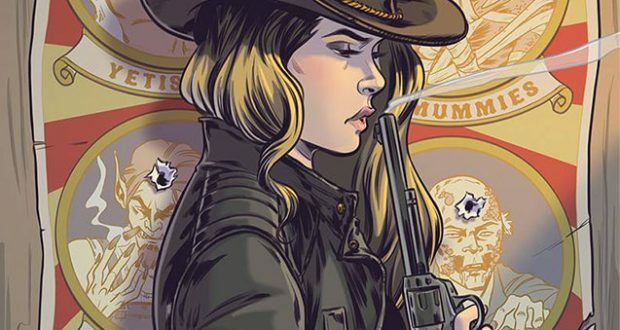 Home / Comics/Graphic Novels / Wynonna Earp: This Earp is nobody’s victim! 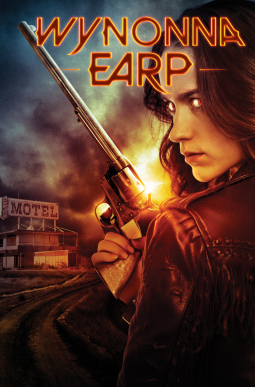 Wynonna Earp: This Earp is nobody’s victim! Wynonna Earp first appeared back in 1996. The limited series, written by Beau Smith, has since become something of a cult hit. Originally published by Image Comics, it moved to IDW in 2003. In April this year, Syfy launched its television series based on the comic, which proved the perfect time to write a new tie-in comic series. The premise for Wynonna Earp is a winner. Transport stories from the Wild West into contemporary times and combine it with a secret paranormal world hidden from ‘normies’ as well as a Buffy-esque, supernatural crime-fighting protagonist. I mean, really, this idea practically hands the writer pure gold… and yet, somehow, he manages to screw it up. This series, as represented by the volume 1 trade paperback, was an utter disappointment, from start to finish. 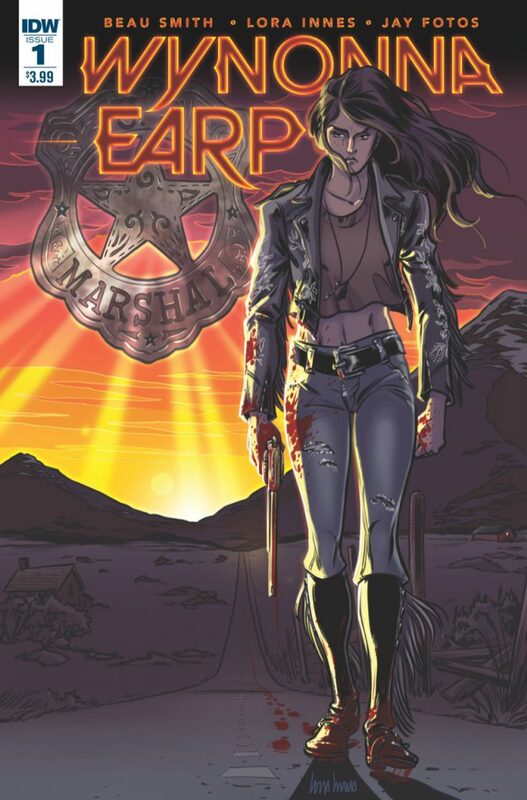 Wynonna Earp isn’t so awful as to be unreadable, but it is very average. Throughout the first six issues, there are little nuggets that raised my hopes, only for it to fall flat. A descendant of a famous historical figure? A twist on that figure – he actually fought the paranormal? Helped out by an Amazonian woman several thousands of years old? All this sounds fantastic on paper, but in practice, the content never lives up to its potential. Wynonna is an agent in a super-secret American government agency. And while she might come from a legendary family and have all the necessary skills, she has a quick temper and tempestuous nature, both of which often lead to trouble. Her rash actions regularly endanger civilians, and after she gets two DEA officials killed in the crossfire, her superior officer brings in a mentor. This babysitter is not what you might first expect – Valdez is a tough, emotionally intelligent Amazon. 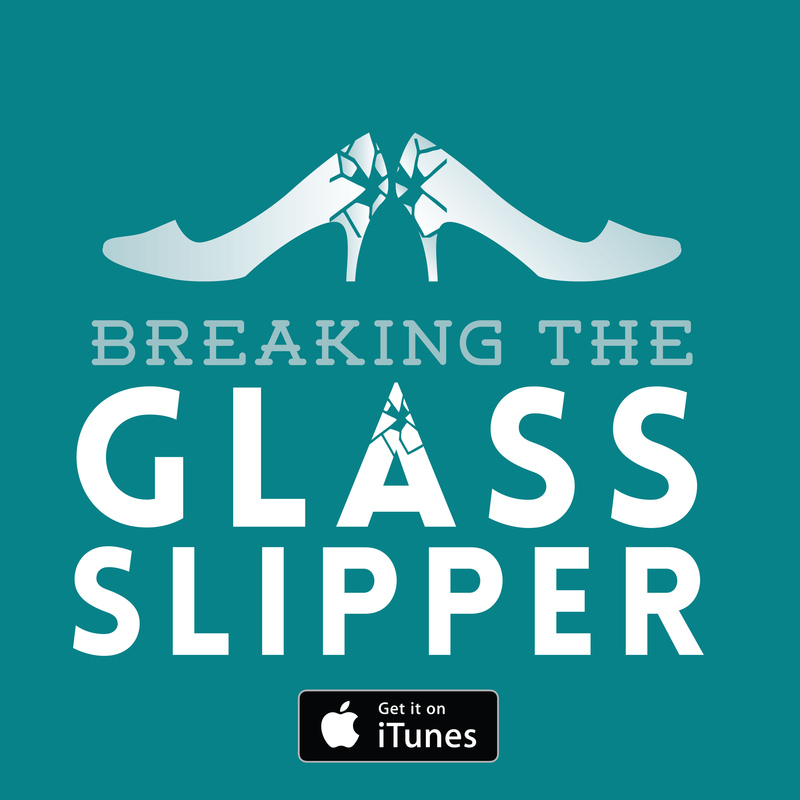 Wynonna tracks down drug dealers, the head honchos running illegal underground fighting rings, and more. But she can’t escape who she is, nor has she yet discovered who she is to become. The biggest problem in the serious is the poor worldbuilding. No one likes exposition dumping, especially in a medium where space is at a premium. 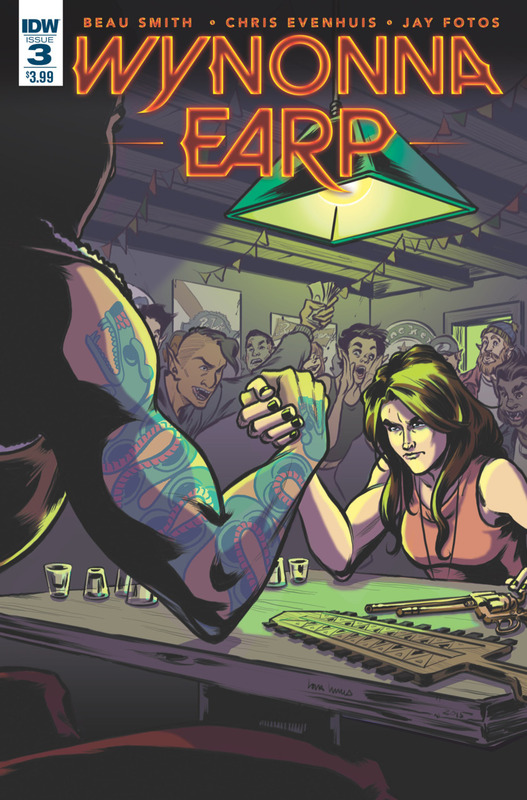 But after reading six issues, readers should have a better idea of the world in which the story takes place than they do in Wynonna Earp (maybe Smith felt this unnecessary as a tie-in, but that is hardly a valid excuse). When you claim to have paranormal creatures living amongst the mundane then have a massive and very public shoot-out with them, establishing how it would be kept from the press is important. In this day and age, keeping a secret like that would be incredibly difficult. Asking readers to suspend that much disbelief requires some effort on the part of the writer, though he doesn’t bother in Wynonna Earp. For the most part, the irritating vagueness is limited to the worldbuilding, with the characterization solid enough. That is until we get to issue 6. I honestly thought my copy was missing a page or two, but that didn’t seem to be the case. In a rather important twist/narrative reveal (though if you don’t guess it from the get-go, I have questions…) at the beginning of the issue, the actual reveal is skipped over, giving us just the aftermath conversation. As such, the reader has to play catch-up. Having not read the original comic series, I’m not sure if the attempted witty quips of the protagonist were there originally or if they are more a nod to the series’ original contemporary, Buffy the Vampire Slayer. I suppose it doesn’t really matter either way, as the quips never hit the right notes. They are neither amusing nor intelligent, leading me to groan audibly while reading. That’s not to say that it was all bad. I really liked the inversion of the mentor trope. When I read that Dolls was going to be assigning an experienced agent to Wynonna, I assumed it would be a man. Why wouldn’t it be? They almost always are! But a brilliant, tough, and relatable Amazonian woman? That was genius! I might even forgive the series’ other sins just for Valdez. Verdict: A series built on a stellar premise that fails to hit the mark.